I absolutely love the beach; running my toes through the sand and the sound of the waves crashing. Since we do not have a beach any where close to us, my husband built the kids the next best thing, a huge sand box. The younger two kids will spend hours and hours creating their sandcastle masterpieces. Even though they do not have to contend with the tide taking their creation away, their sandcastles do not last. You and I need to be intentional about the way we live our lives if we want to leave a legacy for those left after we die. 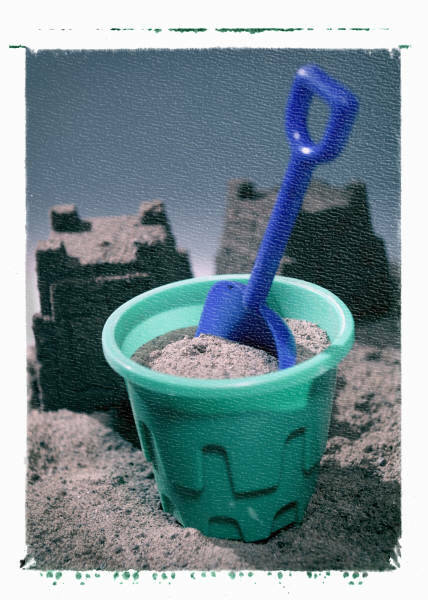 Otherwise, we are simply building sandcastles through our lives, temporary structures that will not stand the test of time. But how does one go about leaving a legacy for generations to come? It comes down to three key things: influence, affluence and obedience. We have talked about the importance of our influence throughout this study. We are to pour ourselves – all of our resources, time, talent and energy, into the people around us. God has given each of us a set time on this earth and whether you have years or months left to live, He wants to see a return on His investment. This does not mean that we spend our lives trying to make a name for ourselves. Like a sandcastle, it will be washed away over the course of time. The only name that will remain is God’s. Therefore, we need to influence others by directing them to God if we want to leave a legacy. Besides influence, we also need to look at our affluence. This does not mean that if you are not wealthy you do not have to worry with this part. God has blessed every one of us. The question becomes, what are you going to do with what He has given you? The only way we can truly pass this part of the test is by giving to those around us. The final piece to the puzzle of leaving a lasting legacy is obedience. We only have been given a limited amount of time on this earth and God wants us to use it to make a difference for Him. Therefore, we need to spend time with God and find out what He wants us to do and then obey. You will find that when you are obedient to God other things in your life will fall into place. By these three keys working together, God will enable you to leave a lasting legacy. In which of the three key areas to you struggle the most? How would your life change if you were excelling in all three areas? Look over your calendar. Ask yourself the question, how much time have I spent on leaving a legacy? Look at your finances. Are you spending your money on temporary or everlasting things? Think of one way you could make an eternal investment this next week. What kind of legacy would you like to leave for those around you?